A trip to Western Australia’s Kimberley region is one that is on many traveller’s must-see lists. Not only because of its stunning gorges, rugged coastline and turquoise blue waters, but it’s remoteness appeals to many adventurers. When you’re considering a trip to the Kimberley, you need to remember the north of Australia experiences a wet and dry season. So the best time to visit is between May and September during the dry season, when weather conditions are much more favourable. 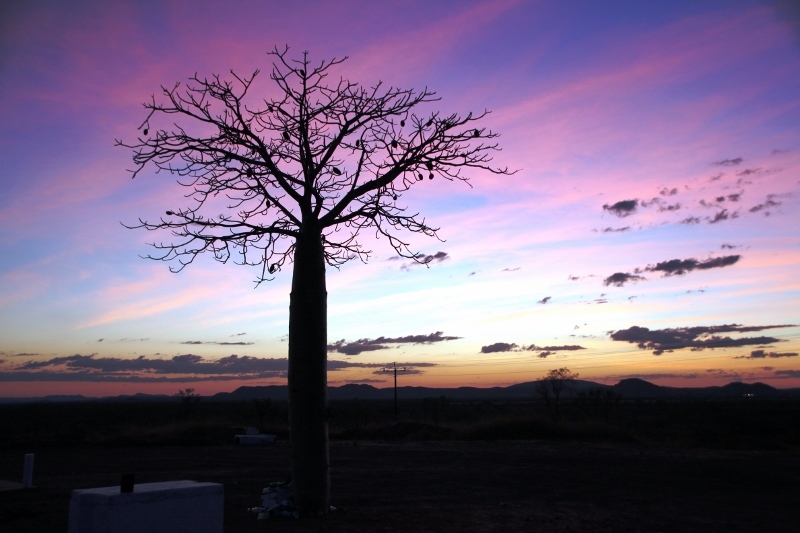 If your plan is to visit the Kimberley only once, of course you’ll need to allow plenty of time to visit attractions. This place is so large that you’re actually visiting an area twice the size of Victoria! Over recent years, the Kimberley is like our second home and each time we visit, we have our favourite things we like to do, but we also aim to do something different each visit. 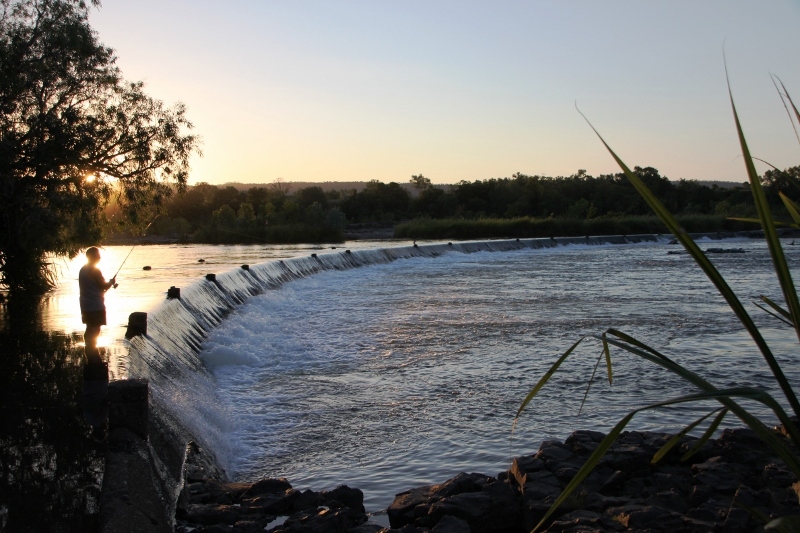 If you begin your trip in Kununurra, it’s a top place to base yourself for a few days and visit surrounding attractions. Around town, check out Kelly’s Knob for fabulous sunsets, Ivanhoe Crossing for excellent fishing (although keep watch for crocs), the award winning Hoochery Distillery, and you can’t go past some of the fresh produce available at the shops and Saturday morning market. 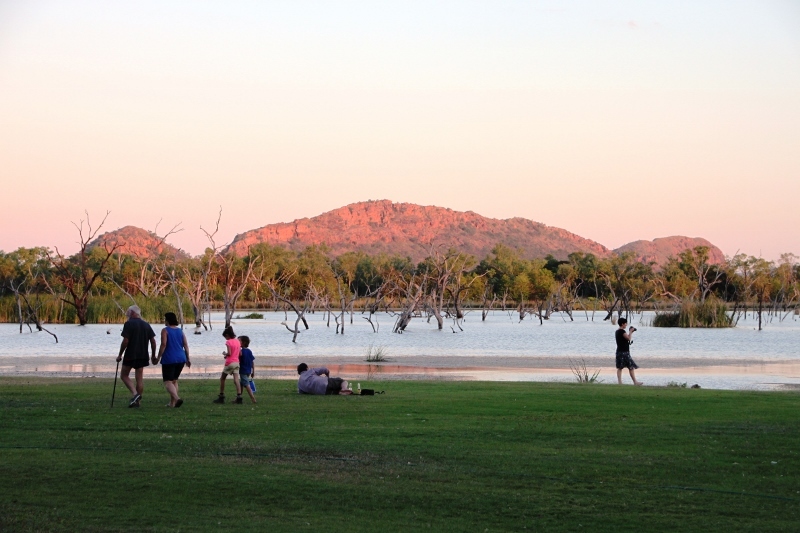 One day trip we often do from Kununurra is a visit to Wyndham. Head up the Great Northern Highway and call into the Grotto on the way. It’s a magnificent gorge with around 140 steps and is a great place to cool off if you visit early in the dry season when water still flows. For a different route to Wyndham that you can drive at a slower pace, take the Old Halls Creek Road which leads off of the Great Northern Highway. The road (more like a track) dates back to the 1800s and you’ll pass a few old relics along the way. Keep watch for the magnificent hand laid stones which line the road in parts. The Old Halls Creek Road meets up with the Parry’s Creek Road which is only a stone’s throw away from Parry’s Creek Farm (a top camping spot) and is not far from Wyndham. One attraction along the Parry’s Creek Road we love to visit is the Parry’s Creek Reserve. The wetlands here have had a phenomenal amount of birdlife when we’ve visited in the past, and best seen at sunrise or towards sunset. We’ve gone at both times and enjoyed each visit. To help you identify the bird species, interpretive signs within a bird hide and along a boardwalk have been provided. Wyndham is the top town in the Kimberley. It’s full of history and one excellent attraction to learn all about it is at the local museum which is full of excellent information about days gone by. Then, for some simply stunning views, head up the Bastion to Five Rivers Lookout. If you’re up that way late in the day, take some snacks and drinks as it’s a magical place to experience a Kimberley sunset as you overlook the converging rivers below. Another cracking day trip from Kununurra is tackling the Karunjie Track located in between Kununurra and Wyndham. Turn onto the King River Road (dirt) from the Great Northern Highway and consider dropping your tyre pressures before going too far. Call into Moochalabra Dam (Wyndham’s water supply) and the spectacular large boab tree before arriving at the Karunjie Track entrance gate. This magnificent track has some sensational views of the Cockburn Ranges as you cross the mudflats which simply go forever. Travelling this section of the track is quite unique and the cracks in those mudflats can be real whoppers! 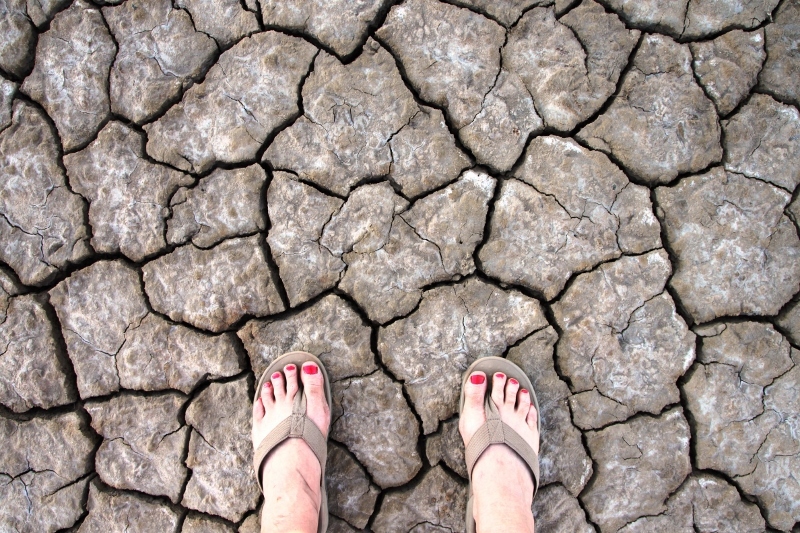 As you get closer to the Pentecost River, track conditions change to sand which can be soft in some places. The Pentecost River is a sensational place to stop for a break, but keep back from the water’s edge as there are plenty of saltwater crocodiles here. There’s no mobile phone coverage along here, so take the necessary precautions before driving the Karunjie Track. While you’re still based in Kununurra, why not consider heading east to visit Lake Argyle. The size of the lake is simply phenomenal and although spectacular from afar, it’s best seen from the water. There are a few tour operators offering all sorts of tours, so make enquiries at the Kununurra Visitor Centre to see what suits you the best. Visiting the Kimberley can be the trip of a lifetime, and here we’ve only just scratched the surface!